Drive an EV and avoid petrol stations forever? New fuel could cost millions! Toyota FCV beast the blackout! Jimnys prove you don't need large 4x4s to do expeditions! Toyota Yaris Hybrid-R and more! Hyundai's First Fuel Cell Car Arrives! CUPRA welcomes a brand new experience to the world of motorsport – the E TCR series, the first ever electric, multi-brand touring car championship. The participation of the e-Racer model in some of the TCR events during the 2018 season is currently being considered, with the aim of evaluating its potential compared to the petrol powered TCR racing cars. The ultimate goal is to achieve the best fine tuning possible that will lead the E TCR to become a self-contained championship in 2019. This CUPRA e-Racer is the first touring car that complies with the requirements for competing in the new E TCR. 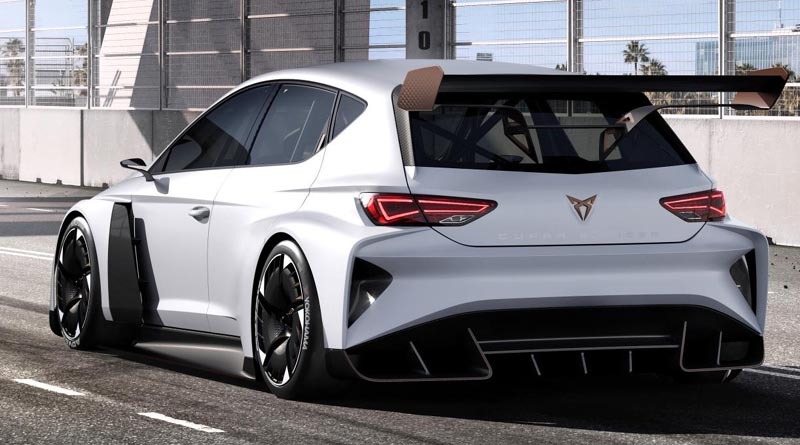 The engines are located over the rear axle and deliver up to 500 kW (680 horsepower), which is 242 kW (330 hp) more than usual on the petrol fuelled CUPRA TCR version, and it is also equipped with an energy recovery system. Compared to the conventionally powered CUPRA TCR, despite weighing 400 kilos more, it features excellent performance and 0 to 100 km/h acceleration in 3.2 seconds and 0 to 200 km/h in 8.2 seconds. CUPRA is a special brand for unique people designed to captivate customers looking for what the new brand has to offer: Uniqueness, Sophistication and Performance. The time has come for car lovers to get involved with a new brand that meets their expectations. Along with the launch of new models, CUPRA will also keep the motorsport and racing spirit alive by participating in the TCR series. The CUPRA world is alive and ready to conquer a new group of enthusiasts in more than 260 specially selected SEAT dealerships all across Europe.